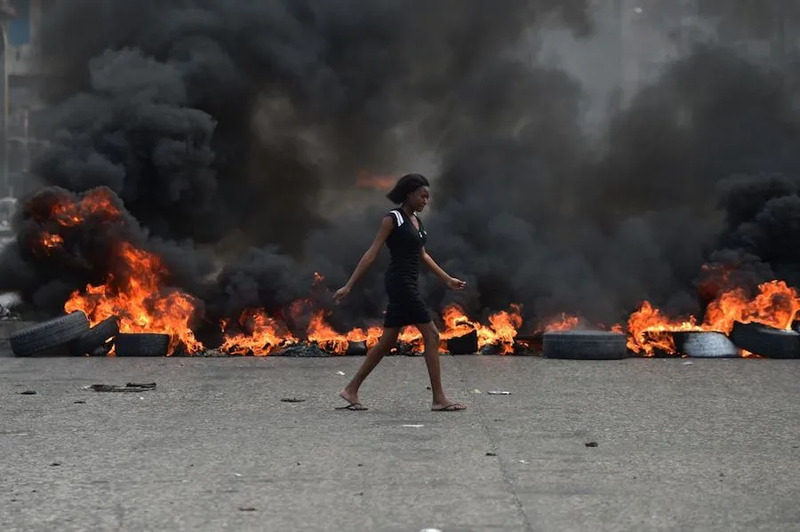 Port-au-Prince, Haiti, Feb 14, 2019 / 12:25 am (CNA/EWTN News).- Following deadly protests against Haiti’s president and the drowning deaths of at least 28 people in an illegal crossing to the Bahamas, the country’s Catholic bishops have said all Haitians must come together for a wise solution to the country’s dangers. “We must wake up to take together the full measure of the danger that threatens us all. This is the moment to join our forces and our intelligence to save our common boat, Haiti, which is our pride,” the Catholic Bishops of the Episcopal Conference of Haiti said Feb. 11. Four days of political demonstrations against President Jovenel Moise drew thousands of people, but also led to unrest that contributed to four deaths and dozens of injuries, BBC News reports. Opponents accuse Moise and other leaders of corruption after a court report alleged that Haitian officials and former ministers misappropriated loans from Venezuela made to Haiti after 2008. The report suggested the president had a role in the irregularities. The protesters have called on Moise to step down. He has been president since 2017. Haiti’s Catholic bishops stressed the urgency of the country’s situation. Migrants leaving Haiti by boat have sometimes risked their lives to enter other countries. In early February, a boat of migrants sank six miles off the coast of Marsh Harbour in the Abaco Islands in the north of the Bahamas, BBC News reports. The Royal Bahamas Defence Force rescued 17 people, but the bodies of 28 migrants were recovered, BBC News reports. About 300 people from Haiti have been caught attempting illegal entry into the Bahamas. Haiti is the poorest country in the Caribbean. Sixty percent of people there live on less than $2 per day. The deadly boat sinking happened nearest to the island of Fowl Cay, where luxury villas cost as much as $4,300 per night. People from Haiti who attempt illegal crossings also attempt to reach the Turks and Caicos Islands. Most migrants are intercepted at sea and deported back to Haiti. The bishops’ Feb. 11 message fell on the feast day of Our Lady of Lourdes and the Catholic Church’s World Day of the Sick. They asked for prayers for Haiti and for the country to turn towards God.